While many businesses are still addicted to Windows Mobile for logistical reasons, Microsoft keeps saying it'd love to get its phone OS into the hands of more consumers. Trouble is, Windows Mobile has been rubbish for ease of use and Microsoft simply hasn't practised what it has strived to preach. The advent of the iPhone OS and Palm Pre WebOS has only compounded Microsoft's problems as it has struggled to keep up. 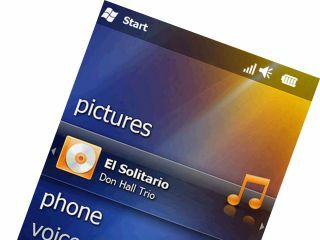 The interface of Windows Mobile 6.0 was sluggish and so poor that many handset manufacturers such as HTC and Toshiba have overlaid it with their own bespoke software - changing the cosmetic appearance of the OS for the better. And so we've now got a new version – the Windows Mobile 6.5 UK release date is 6 October. What's more it comes with a new brand – Windows Phone. Microsoft hopes people will talk about Windows Phone as a platform, just like they talk about BlackBerry or iPhone.